Insync says 642 items queued but nothing is happening. No files are being uploaded to the server; if any file is added on the server, it is not being downloaded. In other words, Insync is not working at all. I’m having a similar issue on Windows 7 x64 with Insync 1.2.5. Mine doesn’t even show the numbers though. I have many files that need to be send up and down, but nothing is happening at all. 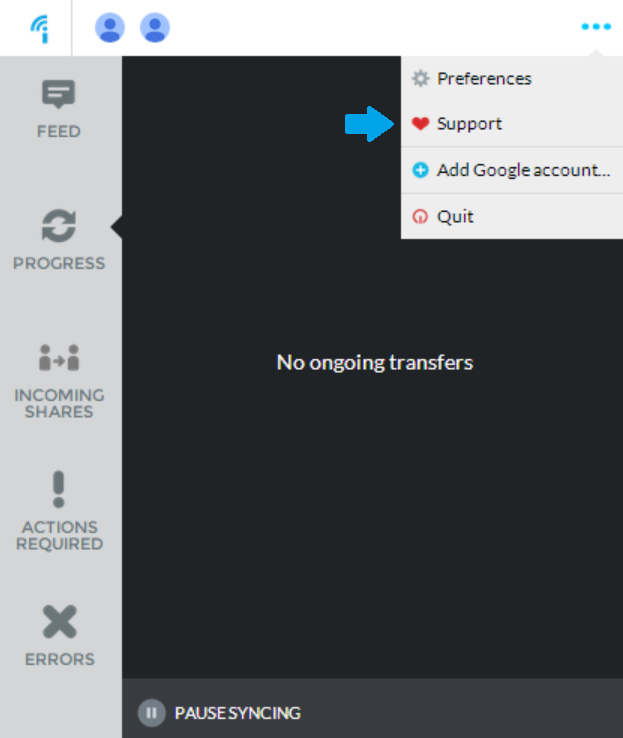 Makes me want to switch back to default Google Drive if this thing won’t even do anything anymore. I have the same issue as Corey_Willis. It is not uploading or downloading anything, and not showing that anything needs to be synched. Please send us your logs.db and out. txt file to support@insynchq.com. Also, I have notified our engineers @jimperio and @dipesh on this issue. Hi one of my colleagues has the same issue!!! Thanks for helping us! Did you manage to solve this issue? I @roald I did have the same issue and sent the logs to support email as well. Kindly take a look at my issue? I will update this thread with whatever issue it was and solution since it looks like an “unresolved” issue from this thread. The same issue here for Win7. I noticed that after restarting the program, it starts uploading the remaining items, but it cannot do more than 20-40 at one stroke. HELP ME… I have the same problem… What is the solution? Same here on Debian with version 1.4.3 and 1.4.4. I have the same issue on Linux Mint 18.3. 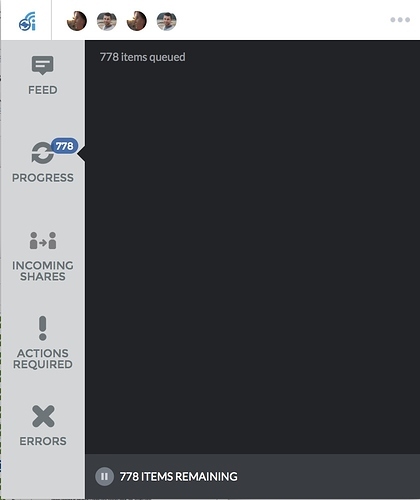 Stuck at 765 items queued/remaining. Restart will get a handful of files to sync, but then it stops again. This has happened for days now. Please help. Having same issue. I’m on a mac, v 1.4.4.37065. This has been happening intermittently on all of my computers in the past few days, since I upgraded. Must be a new bug. As others have indicated, sometimes a reboot fixes, but not always. Please advise! And yes I know you need my log files - ok. But seriously, if this is a common issue let’s hear what’s going on and when the next maintenance update will be out to fix this bug. Hey guys. So sorry about this issue. 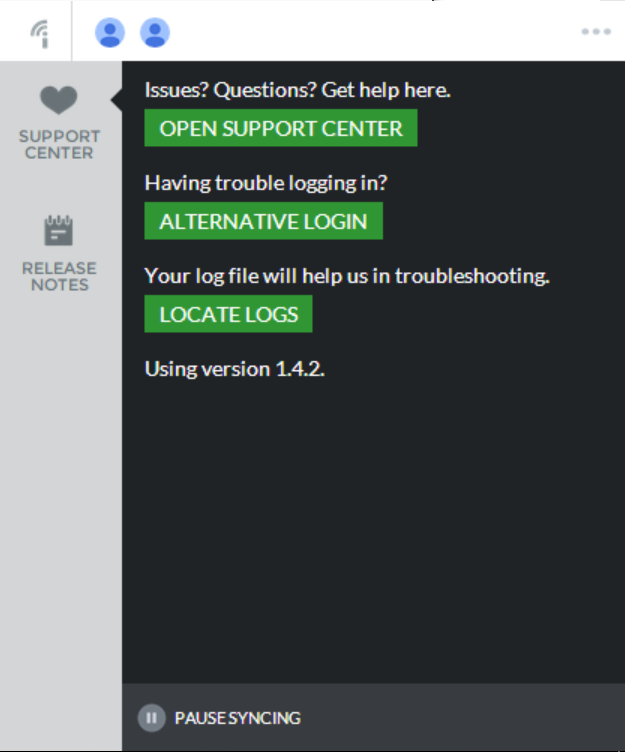 Would you mind sending in your log files to support@insynchq.com? We’re still trying to get to the bottom of this and every bit of info would really help. Same issue here. Insync progress is freezed, only showing “159 items queued” (forever). Using Ubuntu 16.04, insync 1.4.3.37063-xenial amd64. Already sent email to support with my logs. Please downgrade to 1.3.24 for now while we work on a fix. This is our last 1.3 version before everyone is updated to 1.4. Release notes: Increased number of concurrent uploads/downloads. Fixed some temporary files used for downloading (.insyncdl) not being deleted. Fixed error dialog when changing location of Insync folder. Added more backwards compatibility for Insync version 1.4. Windows Mac Linux: Ubuntu 17.10 64-bit Ubuntu 16.04 64-bit Fedora 25+ 64-bit Debian 9 64-bit Please help us test. Thanks! Hi, I’m on 1.5.5 since it’s the future but I’m still getting this bug on queued items that won’t sync but I can’t seem to list what those are. Please update to 1.5.7 and shoot us an email at support@insynchq.com if the issue persists. Please link this post as well. Thanks!